Videos ← Save Our Rail NSW Inc.
NBN TV News has coverage of the Fred Nile committee’s release of an interim report declaring Newcastle’s rail line truncation should NOT proceed on Boxing Day. Watch the nightly news segment at the NBN TV News website. 14 December, 2014. Over 3,000 people protest the dictatorial arrogance being shown to Newcastle and the Hunter Valley by the Baird/Berejiklian NSW Liberal Party with a background of illegal donations, resignations and questionable planning and the moves to cut a 150 year old CBD rail line. 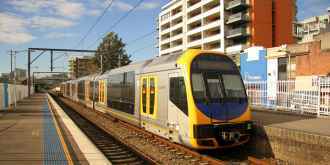 NBN News reports that growing suspicion over the possible development of Newcastle’s rail corridor has prompted Independent MP Greg Piper to introduce a private member’s bill in state parliament. 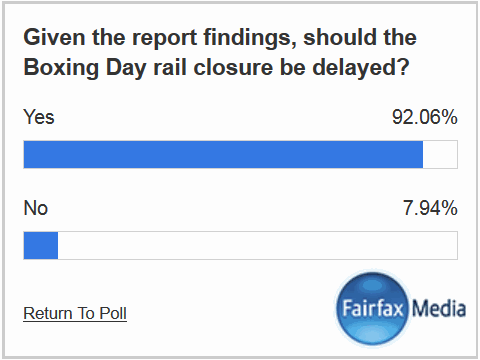 The Transport Minister has only fuelled speculation, by saying “no decision has been made”. Watch the video at NBN News. ABC 7.30 Report NSW has a video report about Labour, Greens and Independents battling for the seat of Newcastle, left empty after Liberal MP Tim Owen resigned over ICAC allegations. Premier Mike Baird and Transport Minister Gladys Berijiklian speak about Sydney’s rail plans, against the backdrop of their plans to cut Newcastle’s line and close three CBD stations in the city. Comments are also included from the ‘Hunter Deserves Better’ rally, held 6 September, 2014. 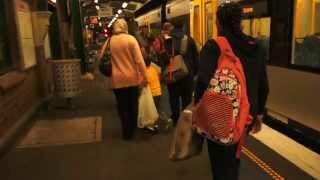 Music video based on anti-rail statements that claim low passenger numbers on the Newcastle CBD line, a claim at odds with footage of actual CBD trains. 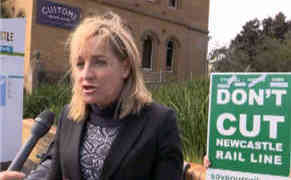 The Save Our Rail group has found some allies, in its fight against the cutting of Newcastle’s heavy train line. A Sydney-based community group visited the city today, weighing in on the debate, along with a Perth MP. Watch the video on the NBN News website. 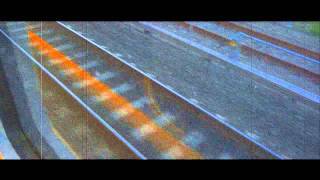 EcoTransit Sydney have published a video record of the Save Our Rail demonstration outside NSW Parliament House on 28 May 2014. We oppose the truncation of the intercity rail line currently terminating at historic Newcastle Station in the heart of the city’s historic core. The Save Our Rail group has again ventured to state parliament, to protest against cutting the heavy rail line at Wickham. But Newcastle MP Tim Owen says the deal is done. Click here to watch the news clip on the NBN TV website.